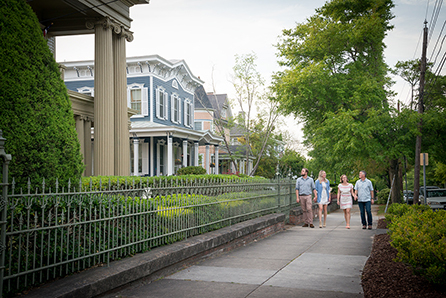 If you enjoy history and elegant post-Civil War mansions, there are some perfect opportunities available to you in downtown Wilmington. The Bellamy Mansion Museum and the Latimer House will take you back in time to rediscover the events of the Civil War and more. The Bellamy Mansion has much to offer in the 10,000 square foot home. Explore the oyster shell paths as you take in the gorgeous Victorian garden or carriage house. Take part in one of the educational or cultural programs there or just plan a visit. They are open Tuesday-Saturday, 10:00 a.m.-5:00 p.m. and Sunday, 1:00-5:00 p.m., Closed on Mondays. Also located in the downtown Wilmington is the Latimer House. This house is filled with fine furniture and antiques for those who love the charm of historic trappings. Built by Zebulon Latimer in 1852, this remarkable property has been home to the Lower Cape Fear Historical Society since 1963! 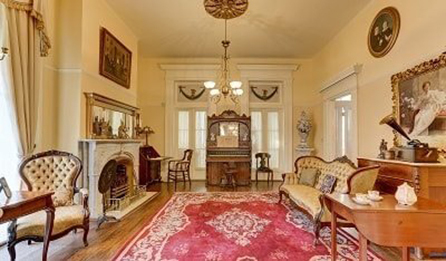 Take a tour through the elegant Victorian home and discover Wilmington living in the 1800s. Alongside the Bellamys and the Latimers, there are many figures who played a vital role in the formation of downtown Wilmington during the Civil War era. At the Burgwin-Wright House and Gardens, take in the historical architecture and the lives of the Burgwin and Wright families that lived there! Walk through the elegant gardens, explore the freestanding kitchen, and admire the rose garden and orchard that reside on the property. As a center of culture, history, and events, Wilmington offers an array of activities and areas to explore. Whether you are a resident here at Brunswick Forest or just visiting, there are plenty of ways to step back in time and into history!